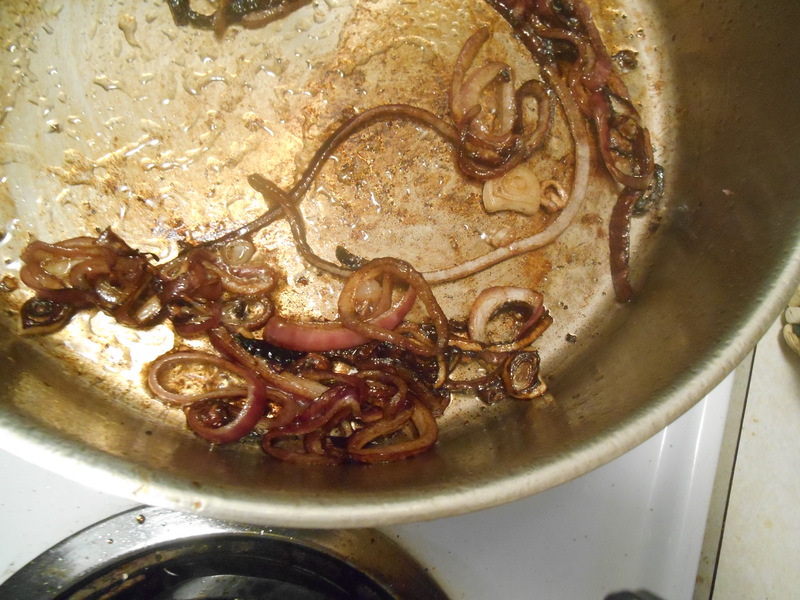 I started the pan on medium – high heat, heat the oil and place the onions in with 1/2 teaspoon salt. Cook for at least 5 minutes or until they look like this. Then deglaze the pan with balsamic vinegar (it will smoke a bit – don’t put your face over the pan at this point). 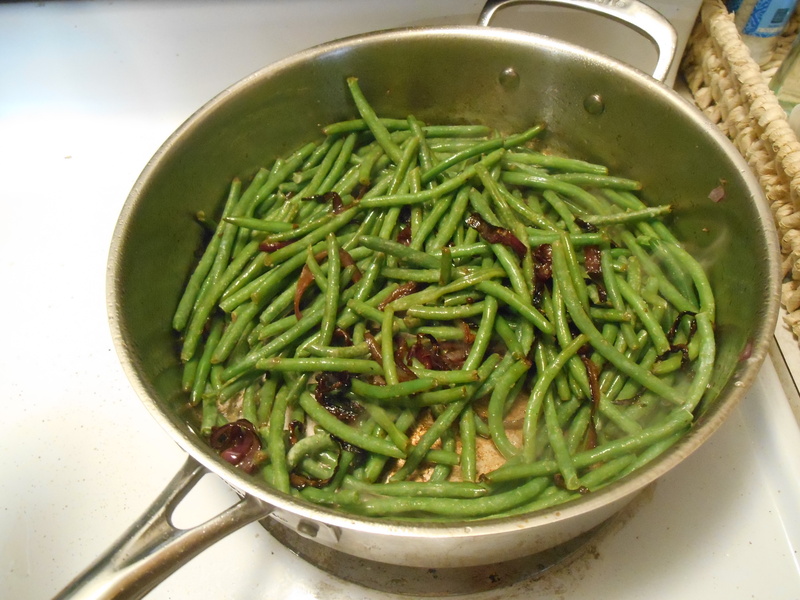 Dump in the frozen bag of green beans (or you could use raw beans or blanched beans). Keep stirring the beans so they don’t stick to the bottom You may need to use more oil. 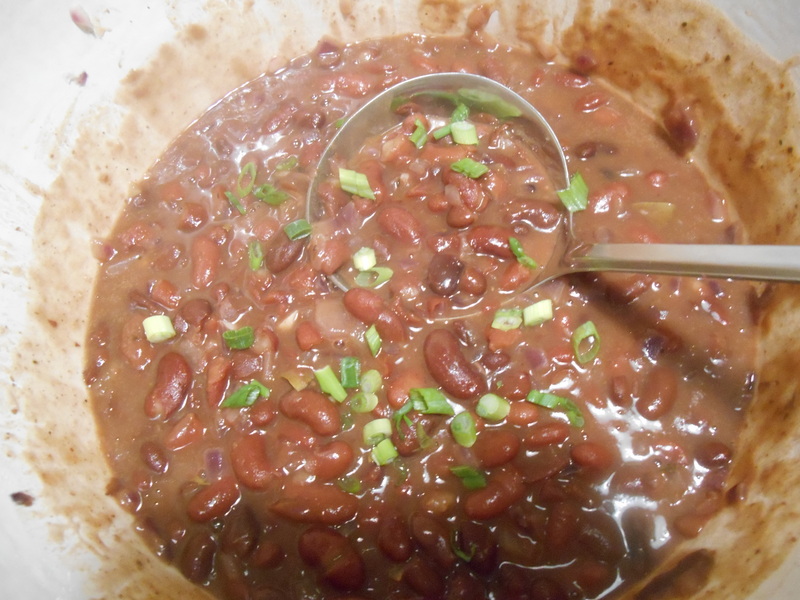 The beans will blister a bit and caramelize on the bottom. Add the garlic powder, 1/2 teaspoon salt, or to taste. Preheat your dutch oven to med-high heat with the oil in it. Place the onions inside, you should hear a sizzle. Season with salt to draw out the liquids. When you’ve cooked them for at least 5 minutes, put in the garlic. 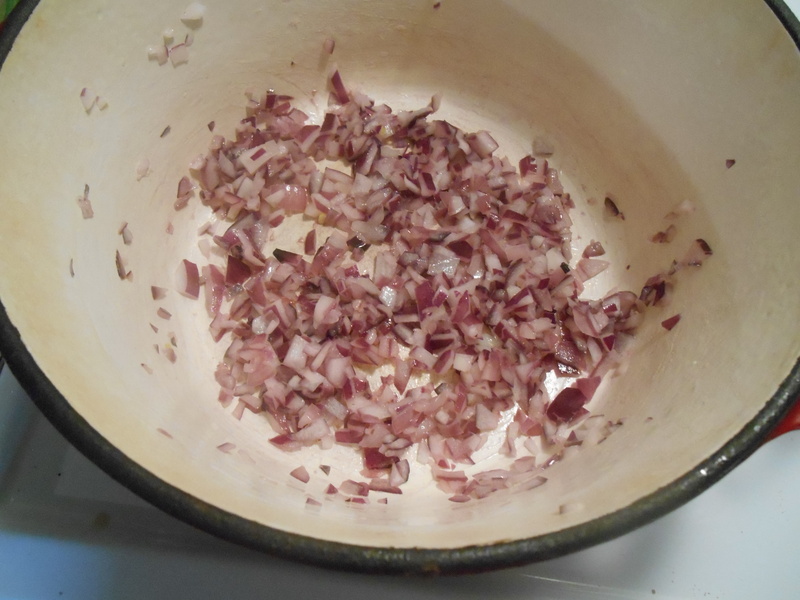 Sprinkle in the cajun seasoning and stir it around so that the onions are coated with it. I deglazed the pan with a dash of white wine vinegar (I didn’t have any red wine vinegar in the house). 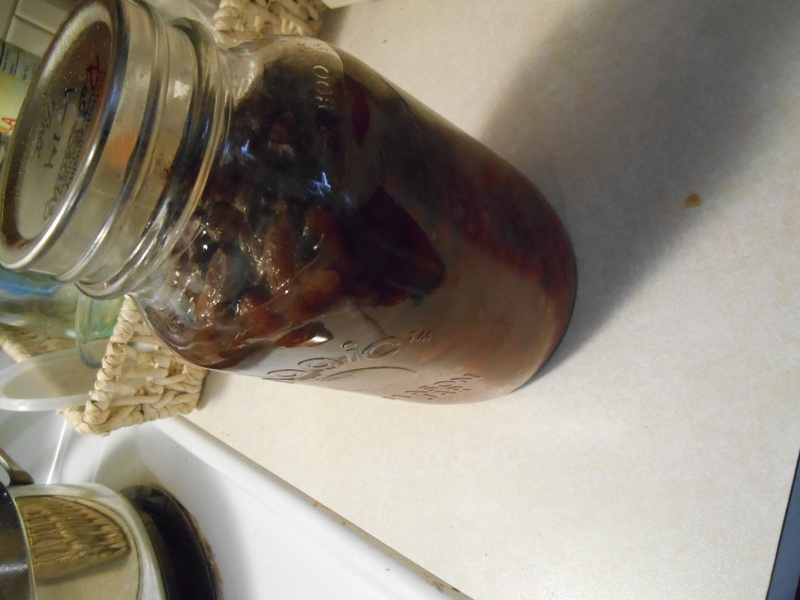 This is a quart of red beans that I canned myself a while ago. If you don’t can your own beans, just use two 15 ounce cans, store bought. You can rinse and drain those, or you can keep the juices. I kept the juices this time because the only things that are in the jar are beans, water, and 1 teaspoon of salt. I put in a bay leaf and brought the pot to a boil, then covered and turned it down to a simmer. Simmer for 10 minutes or until the rest of your meal is done. Garnish with scallions. Serve over rice, we use brown rice.